Home / airlines / asia / sale / srilankan / tips / Srilankan Travel Fest-Colombo return for 8k, upto 50% off-Book now! Srilankan Travel Fest-Colombo return for 8k, upto 50% off-Book now! Considering that Srilankan is a full service airline, your ticket fare includes 40 kgs of check in bag and inflight meals and in most cases, you will be flying a wide body A330 with entertainment systems. Thus on any day Srilankan is a better option compared to Spicejet/Indigo or Air India flights. 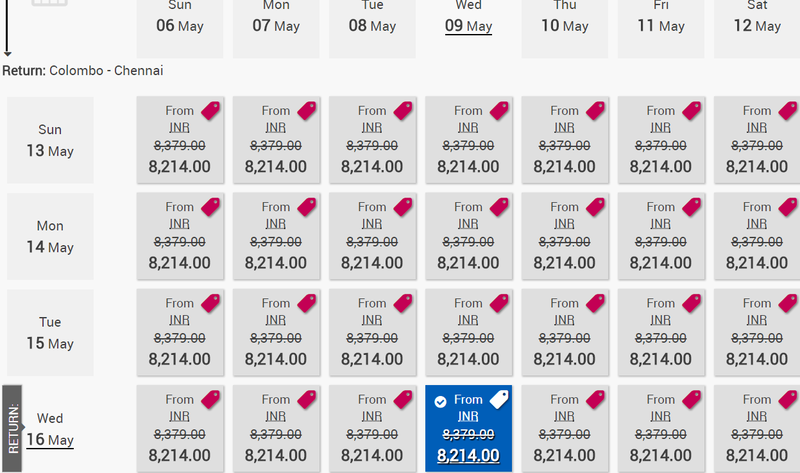 I don't think a return ticket to Srilanka will get cheaper than 8k. If you have Srilanka on your mind, go book now. However note that the low fares are non refundable, not possible to change dates. Essentially be ready to lose 100% if you can't fly as planned.